* "Skydome" taken from Bruce Kulick 2001 album “AudioDog”. Frontiers Records Exclusive Bonus Track for Europe. ** "Love and Desire" (feat. Andrew London) and "Ain't Gonna Die (Chew Fu Remix) : are 2014 bonus tracks on the digital iTunes and Amazon.com 2014 North America (US and Canada) only release. 13 What Did I Say (0:00) aka "The London Song"
14 untitled (0:00) "wishing Robin Zander to sing it"
18 Can't We Just Wait (0:00) aka "The Lennon Song" or "Love and Desire"
Bruce Kulick : "I have worked with many producers through the years, but a very talented friend of mine in Holland has created a unique collaboration of a track from BK3, producer Chew Fu. I did some session work for Chew Fu years ago, and of course we have kept in touch. Chew Fu is known for his work with mega artists such as Lady Gaga, and in 2009 had a huge hit with her song "Love Game" feat. Marilyn Manson. He has also worked with Grammy winners Rihanna, Kayne West, Kings of Leon, Timbaland, Justin Timberlake and Black Eyed Peas. And he is a huge KISS fan as well! Well, once he got his hands on BK3 he asked me for the original files for the recording of "Ain't Gonna Die" (the track that features Gene on vocals) so he could do a remix. So as my KISSMAS gift to you all, I am very happy to share this song for you to listen and, if you dare, dance along to Gene Simmons and BK in this unique Chew Fu collaboration". "Ain't Gonna Die (Chew Fu Remix)" is added as a 2014 bonus track on the digital iTunes and Amazon.com 2014 North America (US and Canada) only release. Mixed by Brian Virtue at Modernist Movement Studios, Nashville, TN. Engineered by Brian Virtue, Steve Churchyard, Jeremy Rubolino, Jorge Velasco, Kevin Churko, Brett Chassen and Erik Zobler. Recorded at Stagg Street Studios, Henson Recordings Studios, Steakhouse, Shut Up And Play, Paramount Studios and Office Studios. Mastered by Don Tyler at Precision Mastering, Hollywood, CA. Basic tracks recorded December 2006; Engineered by Brian Virtue. Track 09, 13, 18 : Guitars recorded June 2007 at "Shut Up And Play" in the Valley. Track 11, 16, 17 : Guitars recorded July 2007 at "Shut Up And Play" in the Valley. Track 06 : vocals by Doug Fieger recorded July 2007 at "Shut Up And Play". Track 11, 17, 19 : Guitar overdubs recorded August 2007. Track 11 and 16 : acoustic guitars recorded August 2007. Track 05 : 12 String Martin guitar parts recorded September, 2007. Track 06 : solo section recorded September, 2007. Track 17 : Harmony section recorded September, 2007. Track 18 : acoustic guitar parts and guitar solo recorded September, 2007. Track 10 : Bass (Jimmy Haslip) recorded October, 2007. Track 15 : re-working the song October, 2007. Track 16 : acoustic guitars re-recorded October 2007. Track 18 : heavy guitars added October, 2007. Track 19 : clean guitar parts recorded October, 2007. 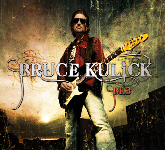 Track 11 : Vocals (Bruce Kulick) recorded March 2008. Track 11 : Lead vocals recorded November 2008. Track 05 and 09 : Background vocals recorded December 2008. Track 05 and 09 : Lead vocals recorded November 2008. Track 02 : Bruce Kulick guitar overdubs/ background vocals recorded October, 2008. Track 04 : Nick Tweed Simmons lead vocals recorded October 21, 2008, Burbank C.A. Track 10 : Recorded and Engineered by Steve Churchyard at the Steakhouse studio. Track 02 : Background vocals recorded December 2008. Track 03 : Lead and background vocals recorded December 2008. Track 09 : vocals recorded at Stag Street, December 2008. Track 08 : Guitar riffs recorded December 28, 2008. Track 04 : Guitar riffs recorded December 29, 2008. Track 11 : violin recorded January 3, 2009. Track 10 : guitar dueling with Steve Lukather recorded January 2009. * Track 02 : Basic tracks recorded September 13, 2008 by Bruce Kulick (guitars), Gene Simmons (vocals), Brent Fitz (drums) and Jeremy Rubolino (bass) at Henson Recording Studios, (the old A&M) in Hollywood, CA, with Kevin Churko Engineering. Gene invited his Family Jewels show down to capture some of the tracking. Gene's son Nick was there as well. Bruce Kulick rhythm guitar overdubs, lead guitar and backing vocals recorded October, 2008 at Stagg Street Studios in Van Nuys. * info taken from : Bruce Kulick's studio blog.